In his small hometown of Alexander City, Alabama, George Hardy is best known as the gregarious local dentist who dresses up as a roller-blading tooth fairy in the town's annual Christmas parade. 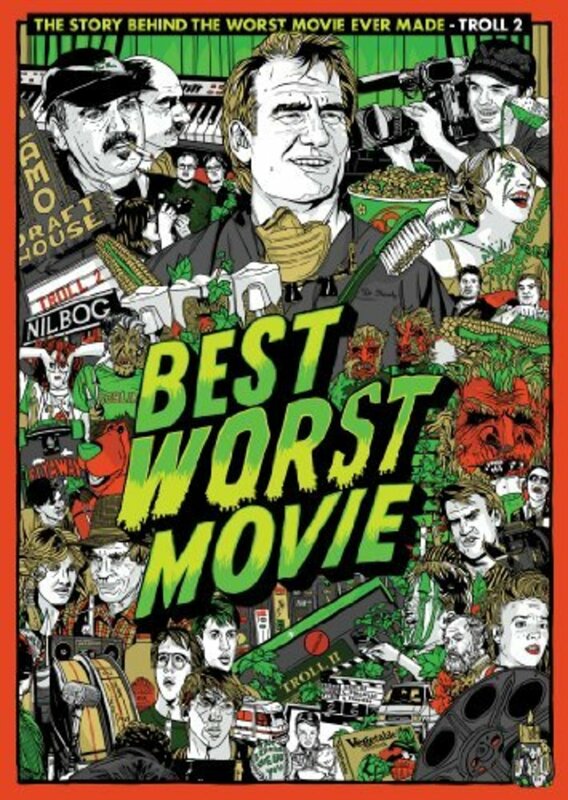 Until the movie became a cult classic in the mid-2000's and until its then child star Michael Stephenson decided to make this documentary about its cult phenomenon, George hid from most of the town's residents that he was the adult star close to two decades earlier in Troll 2 (1990), which is highly regarded as the worst movie ever made and which at one time held the very bottom ranking of eligible movies on IMDb. 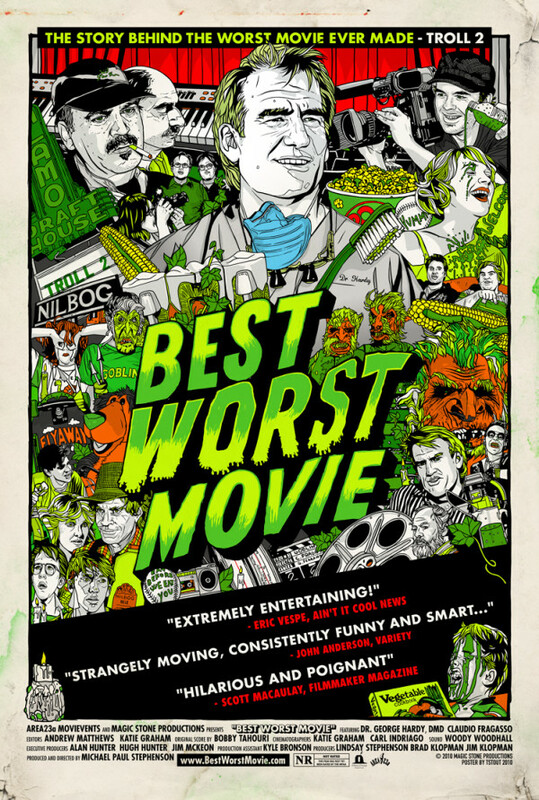 In all technical respects, the movie is indeed awful, except in the fact that it entertains its followers in its sheer awfulness. Even most who participated in the making of the film know that it is awful - some who remain in the movie industry and still hide their association with it - except perhaps its Italian husband/wife directing/writing team of Claudio Fragasso and Rossella Drudi, the former who believes he directed a movie that has some emotion and heart. As the movie gains notoriety through special cinema showings worldwide and through fan conventions and other such events, George and others associated with the film gain some renewed recognition, however niche that recognition is. While some of the movie's actors like Connie Young still try to keep it a distant memory not on their resume while others like Margo Prey deal with the personal realities of their current life which doesn't include this movie, George relishes in most - but not all - of the regained fame, and contemplates whether he would like it to be more than just the proverbial fifteen minutes within the context of a full-fledged movie career. Regions are unavailable for this movie. 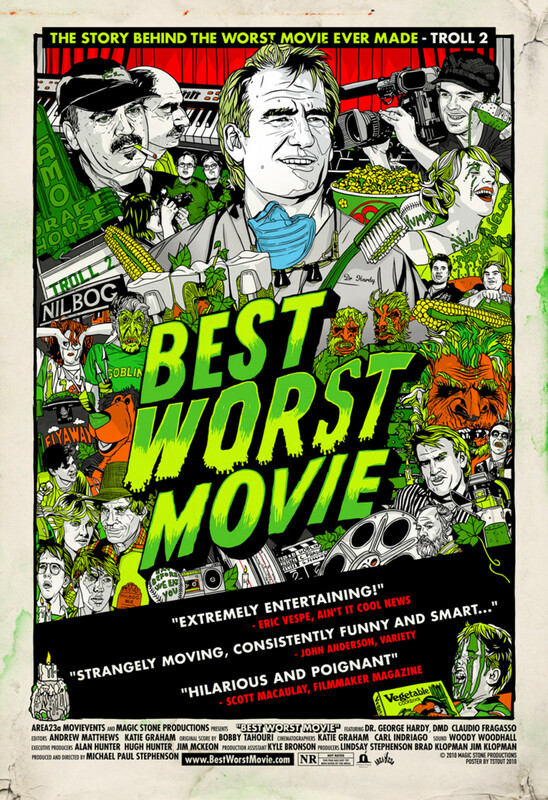 Click the "Watch on Netflix" button to find out if Best Worst Movie is playing in your country.